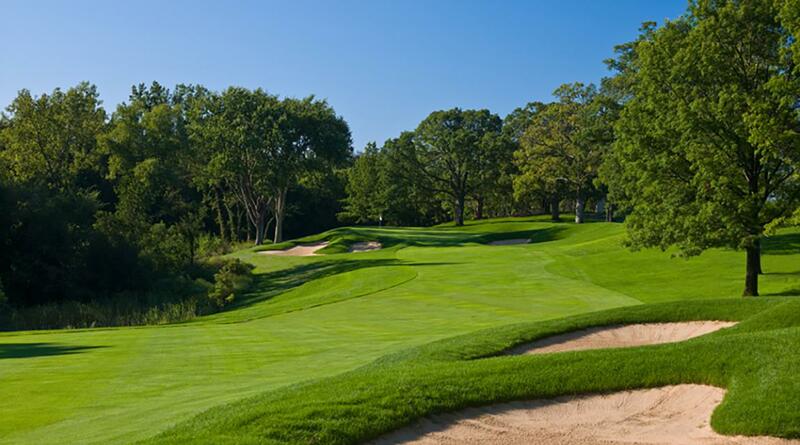 Cog Hill offers a variety of golf packages that allow you to enjoy golf on one or more of our four championship golf courses and accommodations at the nearby and elegant Drake Hotel-Oakbrook. Golf packages with accommodations start at $275. Single-day golf packages start at $89. 4 Memberships for the Price of 1! With the "Dubsdread Membership" enjoy unlimited access to all four of Cog Hill's award-winning golf courses and practice facility including one of America's 100 Greatest Public Courses in Course No. 4-Dubsdread! Testing, but not overpowering, best describes this golf course. The layout routes through gently rolling, wooden terrain and offers a nice blend of lengths and difficulty, requiring a range of shot-making ability. The course features enough sand, woods, and water to test the accomplished player without punishing the beginner. The sporty, championship layout is routed through wooded, rolling terrain and challenges golfers with ravines on nearly half of the holes. Unique to the RAVINES course is the closing "19th hole." The challenging par-3 offers a testy putting surface and a memorable end the day's golf match. Testing, but not overpowering, best describes this golf course. The layout routes through gentle rolling, wooden terrain and offers a nice blend of lengths and difficulty, requiring a range of shot-making ability. The course features enough sand, woods, and water to test the accomplished player without punishing the beginner. Known as the "Patriarch of Public Golf," Joe Jemsek always aspired to provide a country club experience and amenities to all golfers. Even with three hightly successful golf courses, Joe was still concerned that he didn't have a course to better the finest country clubs in the United States. At Cog Hill, golf outings are an integral part of our business. Recognized as one of Illinois' Top Courses for Golf Outings, we are committed to providing quality golf experiences and strive to make each event host/coordinator's job easier. Stop in and see what we have to offer today! We take great pride in our food and the service we provide our guests. We feel strongly that our people make the difference. We understand the trust and responsibility that is conveyed to us in handling your special event. Cog Hill has one of the top instructional staffs in Chicago. As an official partner of the Golf Channel Academy, Cog Hill offers a variety of clinics, private lessons and golf schools designed for beginners to advanced players. Golf Ball Season Opener Promotion: Titleist, Callaway and TaylorMade are offering a great way to stock up for the season. Buy 3 dozen golf balls, receive the 4th dozen free. Purchase online or call the golf shop for more details. Cog Hill offers club fitting, club repairs and alterations. Contact Randy at the Learning center for more info or click here. Join our mailing list and be the first to receive updates and promotions.